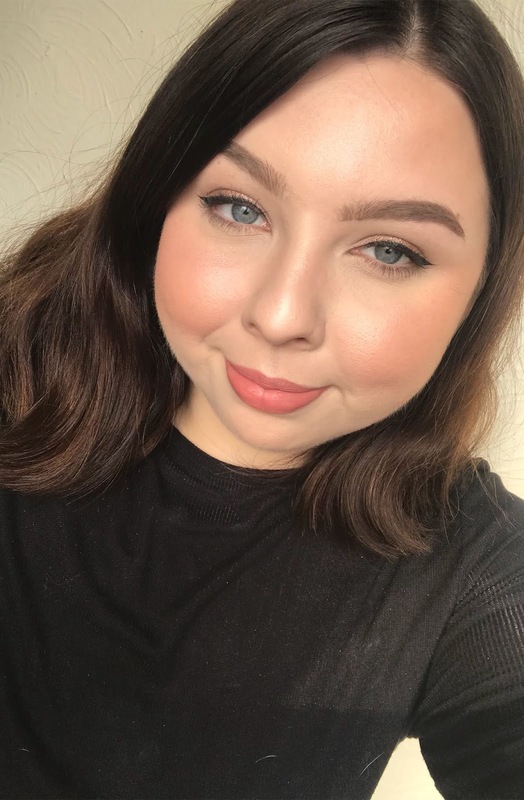 My favourite skin make up is a base that looks flawless and glowing, but whilst also still looking like skin - not like make up. My current favourite way to achieve this, is this pair from Armani. 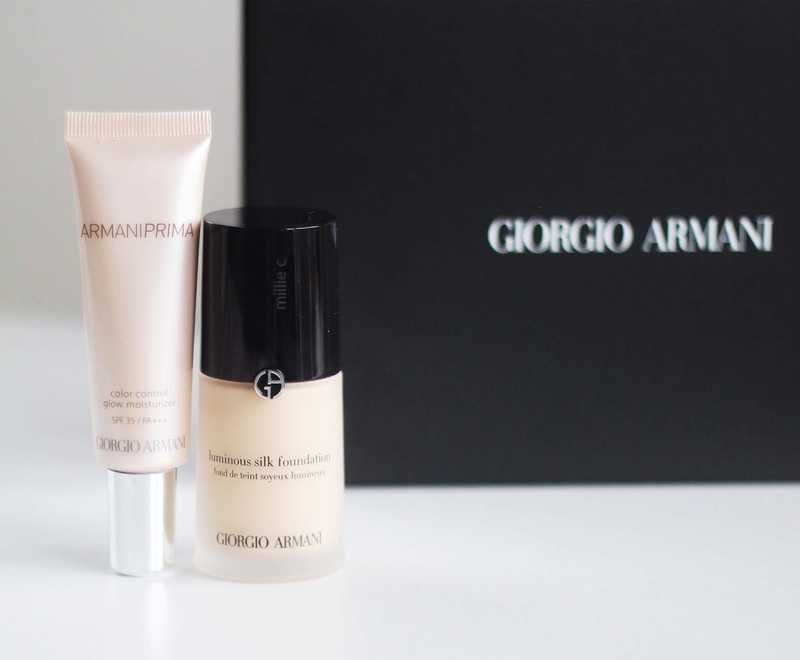 To start: the Armani Prima Color Control Glow Moisturiser. This is basically a CC cream, but it packs a lot of punch. It's actually very pigmented. 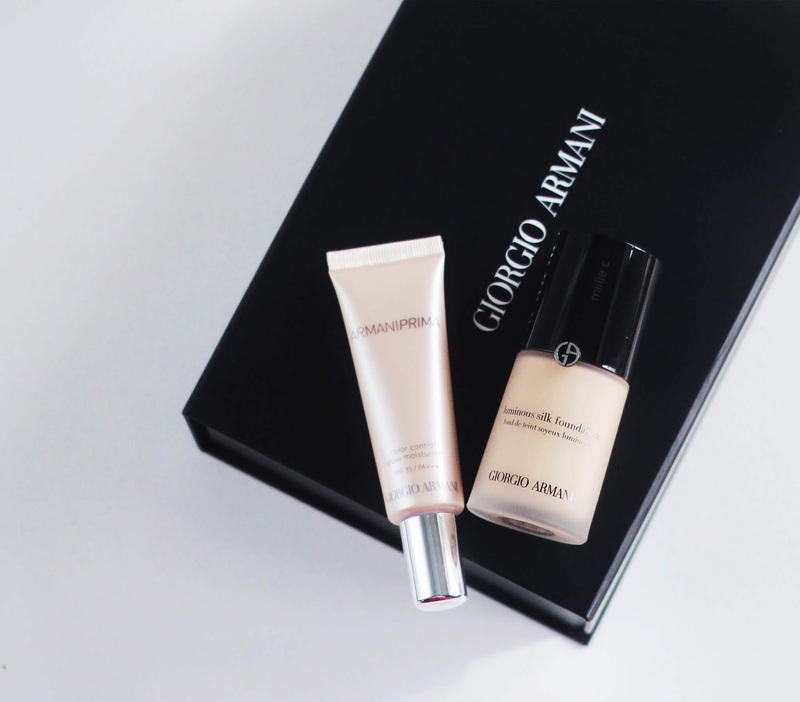 One time I used it, I accidentally squeezed out far too much product, but put it all on my face anyway (at Armani prices, you wouldn't waste it either). It was more like a sheer foundation than a colour correcting moisturiser! But it looked so natural it was wearable alone. One of my biggest bugbears when it comes to my skin is uneven skin tone. I personally am not comfortable wearing sheer foundation/CC/BB creams alone because usually, if anything, I find it ends up looking like I've tried to hide my uneven skin tone and failed miserably. I think that my skin tone is so uneven and patchy that anything less than medium coverage just ends up highlighting the problem more than it hides it. This moisturiser is the first product I've found that actually evens out my skin tone rather than thinly veils mottled redness and yellow sallowness. It's not a shimmery glow boosting primer, it's flesh coloured but it gives your skin this incredible natural looking, lifted luminosity. 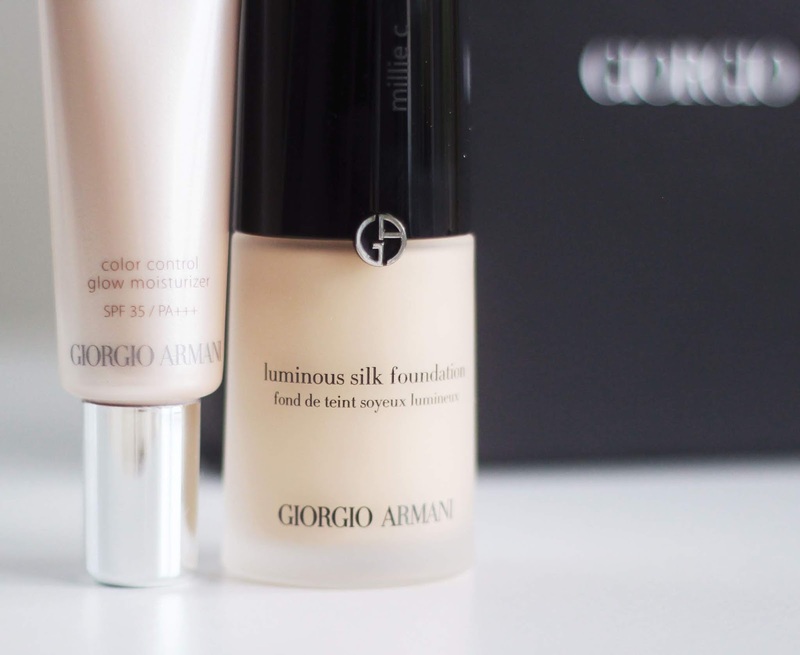 Luminous Silk Foundation has a cult following with good reason. Firstly: the coverage. It's totally customisable. You can dab on a little with a sponge for a sheer tint, but also totally build it up to a full coverage foundation that's still lightweight and comfortable. The texture is so beautiful - it's so lightweight and feels like it hugs your skin (bad analogy? sorry) rather than suffocating it or sitting on it in a way that the actual foundation is visible and doesn't look like skin. It blurs imperfections and just makes the skin look so soft and almost filtered. It's luminous (obviously) and glowy without being so dewy it verges on the side of greasy looking. The wear time is really good and had me totally bowled over recently. On a shopping trip, I accidentally left my shopping bag in the loo and I spent a good 45 minutes literally running round the shopping centre trying to track it down. Thankfully it did end up in the lost and found - but after all the stress I had literal sweat dripping down my face. My concealer was all crunched up as a result but my foundation? Hadn't budged. Still looked flawless. I actually love how this wears in general. After several hours it starts to let natural oils and shine through but in a way that's really flattering. In a very 'glowing Summer Goddess' way. I love it. 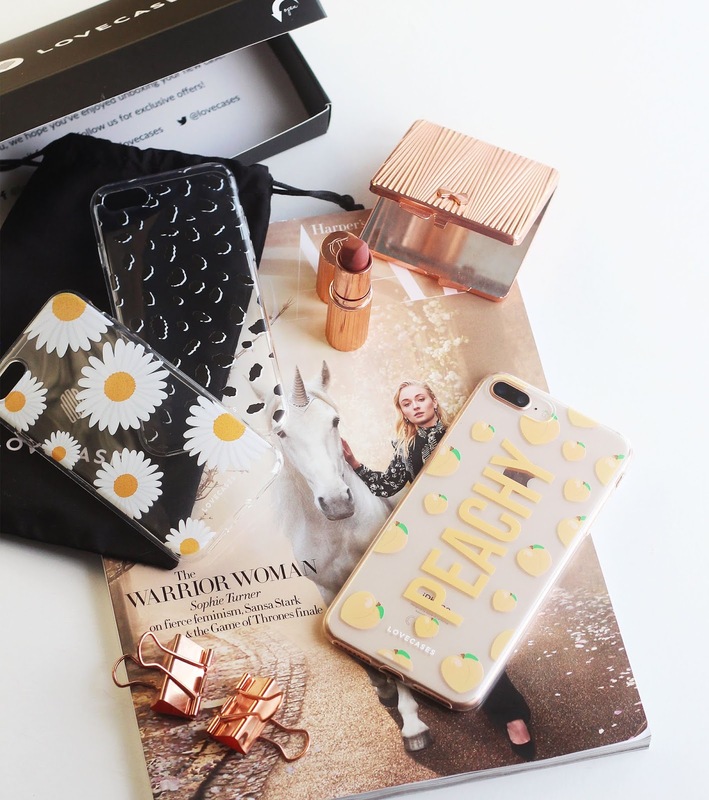 Beautiful products, worth every cent! These products look great and have made your skin look fantastic. Would you like a free eyebrow shaping?